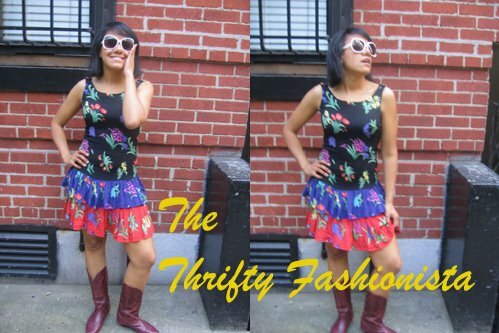 The Thrifty Fashionista: New Blog is up! If you link to me - and you link to Blogger please change it. If you don't link to me and you would like to me throw me a comment I would love to do a link exchange! Will definitely link you and thank you for coming back to the world of blogging. I really like this article and have enjoyed reading. Nice article, love the post. I have read the article,and I want to say thanks to you for exceptional information. You have provided deep and easily understandable knowledge to us. , Women's Skirts, Women's Tank Tops & Camisoles, Women's Pants, Women's Capes & Ponchos,Women's Vests, Women's Dresses, Women's Shoes,Original Hand bags & Totes. We know women's is a role model of beautiful.That is why our main concern are women's. This dress is really mind blowing. Angelina Clarke from American Flag Clutch Bag . Wow a good dress its very colorful.Thanks for sharing all these information. Nice post. Thank you for taking the time to publish this.. I will definitely link to you. Let me take this opportunity to introduce to you a wonderful range of crystal jewellery collection which includes crystal bead bracelet necklace and earrings etc offered by a renowned jewellery brand.